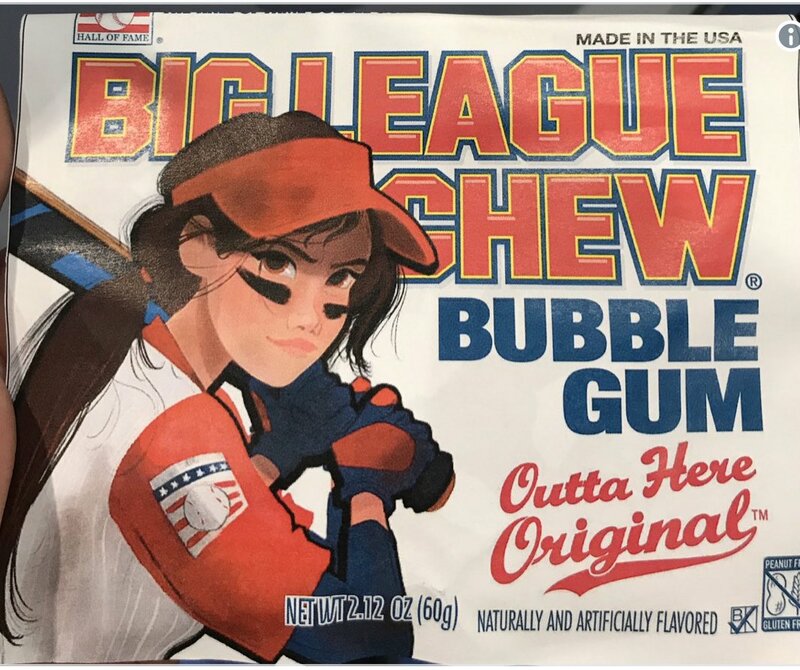 A version of Big League Chew featuring a female ballplayer is supposed to hit distributors today. All I can think is now people who support girls' sports will have to battle those who think pretend chewing tobacco leads to real-life use and cheek and gum cancer. Well played Big League Chew! When I grew up we had candy cigarettes and bubble gum cigars. They didn't make me want to grow up and smoke (although I do enjoy a good cigar now and again). Personally, most of the people I know who smoke - smoke because they saw their parents smoke. I honestly can't think of a single person who smokes cigarettes that didn't have a parent who smoked. It wasn't because they were subjected to candy cigarettes as a kid. The exception seems to be people who work in the food service industry. The difference in taste between Big League Chew and real chewing tobacco is no different than the difference in taste between gummi worms and real night crawlers and yet the Little League snack shacks still have gummi worms. Aren't they concerned that the kids will grow up to be like Frank Burns and eat worms? Maybe the makers of Big League Chew could have gone more PC and renamed the product Big League Shredded Gum. That worked for the folks who changed the name of the cereal Sugar Smacks to Honey Smacks back when sugar was proclaimed the root of all children issues. Instead they put a female on the packaging - well played Big League Chew!